The NEW Black 'Celebration' Laceup Shoes by FCGI set a formal standard for footwear. These shoes incorporate a lace-up closure and a slightly squared toe to create a look that is simple and elegant. 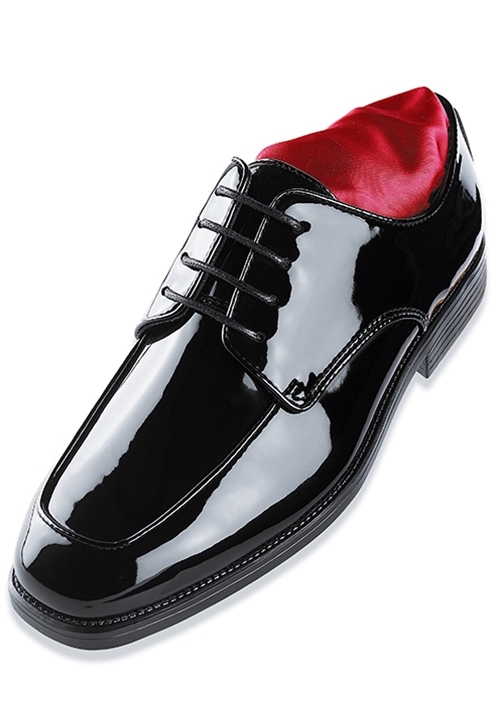 Fashioned from PVC, these formal shoes imitate patent leather, perfect for any Black Tie function!